Calling all tea-lovers out there, gone are the days where you have to steep the tea for as long as possible for the flavours kick in. 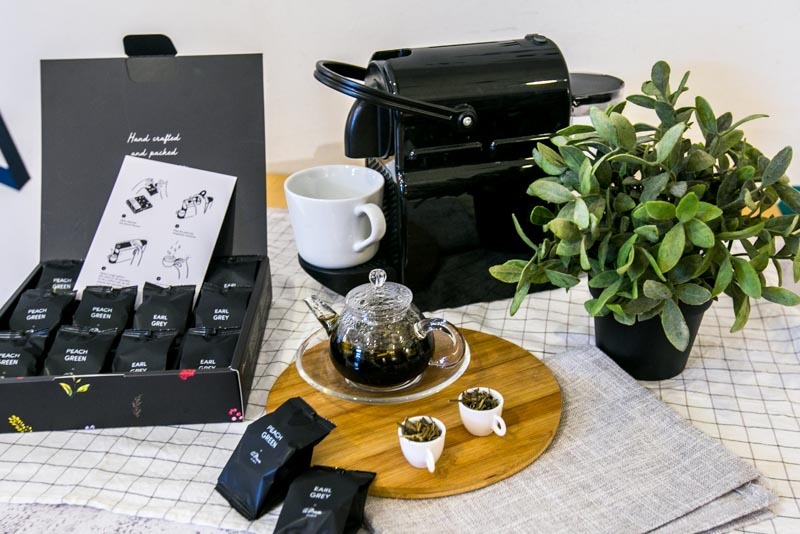 A.muse Projects, Singapore’s very own homegrown tea company has recently released Nespresso-compatible capsules, Tea Pods for teas. Each Tea Pod Box Set contains 12 capsules. They are currently available in only two flavours — Earl Grey and Peach Green Tea. For a comforting cup of tea, get their Earl Grey Tea Pod Box Set ($18 for 12 capsules). Gone are the days where you have to steep the tea for as long as possible for the flavours kick in. If you’re looking for a refreshing afternoon pick-me-up, go for their Peach Green Tea Pod Box Set ($18 for 12 capsules). Pop a capsule into your Nespresso machine and you’re just seconds away from feeling rejuvenated. If you can’t make up your mind, fret not! The Assorted Blends Tea Pod Set ($18) is just for you. With six Earl Grey & six Peach Green Tea capsules, you are guaranteed the best of both worlds. We were initially doubtful about the flavour intensity of the tea capsules, but the first sip dispelled any doubts we had, and we were pretty impressed! It’s only after a few tries, we realised that running the capsule thrice on the Espresso setting gets you the perfect brew. So what are you waiting for? Get your very own Tea Pod Box now and enjoy a cup of fine tea at ease! Or you know, get it for a tea-loving friend as a gift.